A previous float from the 1970s by Depot Hill Athletic Society. 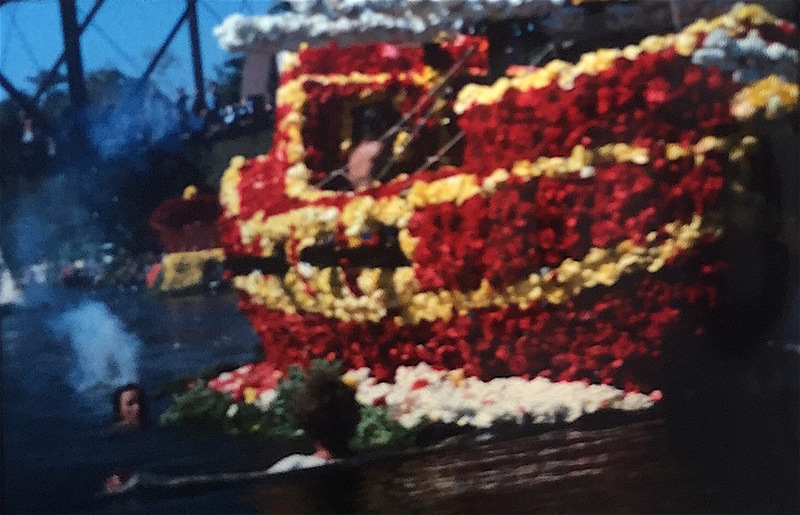 Since 1952, hundreds of people have participated in the Capitola Begonia Festival’s nautical parade. It has brought together families, friends, organizations and people from near and far for designing, building, decorating, and cheering on the colorful floats that travel Soquel Creek. Local Santa Cruz went behind the scenes with several of the eleven teams constructing floats for the 65th and final parade. The Depot Hill Athletic Society team has been a longstanding part of the Begonia Festival, and has won numerous awards for floats over many years. This week, they’re busy preparing their 2017 float, “Shipping Out to Sea”. The Depot Hill Athletic Society team represents the Festival’s outstanding historical value, community spirit, and creative collaboration. 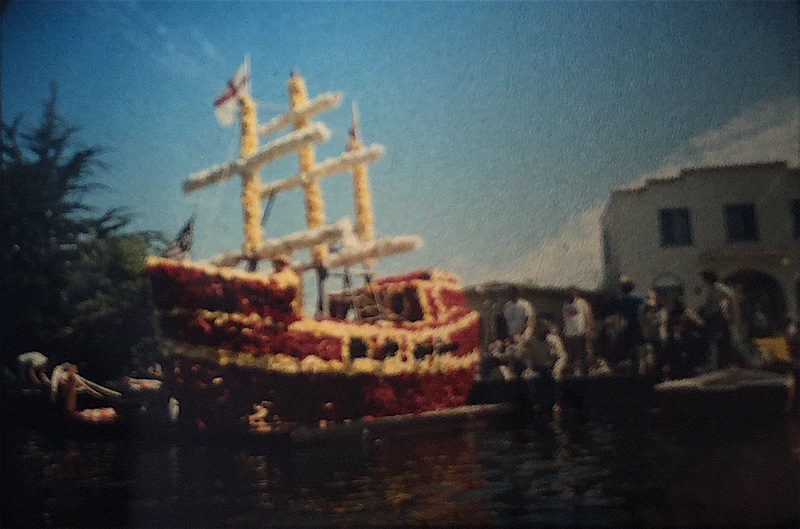 Read on for an interview with team member Jessica Bond, who shares about the team, their 2017 float, and what has made the Begonia Festival an unforgettable experience for everyone involved. Local Santa Cruz: What is your connection to the Capitola Begonia Festival? Jessica Bond: My family was a part of the Depot Hill Athletic and Drinking Society who built floats from 1974-1985. They took the grand sweepstakes award 1974 and 1976- 1978 (1978 was a tie). They received various first and second place awards other years. I was born in 1982, so begonia building is in my blood! My older sister, Jennifer Walker, also has lots of fond memories of the float building. As an older child I participated in building many floats, and even rode on a float one year. What inspired your team’s 2017 float idea? Once it was announced this was the last year, my sister and I felt we had to honor our family history and build a float. Our family friend, John Johnson, also passed away. John is an artist best known for the K-Pig logo. John designed the floats for the group in the past, so we felt we had to also honor John. At his memorial, we announced we would organize a float, so we have members of the original group as well as the next generation and new friends. Our float for the “Take a Bow” theme is “Shipping Out to Sea”. We are replicating a previous float from the group of a ship sailing off into the sunset. We will have some special effects in store which I won’t give away! Wooden frames for the 2017 float, “Shipping Out to Sea”. Built by Mark Hoagland for the Depot Hill Athletic Society. It’s been awhile since I built a float but I remember enjoying the decorating. In this process so far I have enjoyed the planning with my sister. And I am looking forward to seeing the begonia fields as I have never been there before. My work history is in theater so the project has been like mounting a production in a way. It has been nice to revisit my production manager skills. I was a production manager for Shakespeare Santa Cruz (and one year of Santa Cruz Shakespeare) and Jewel Theatre. It has been over a year since I left that profession. 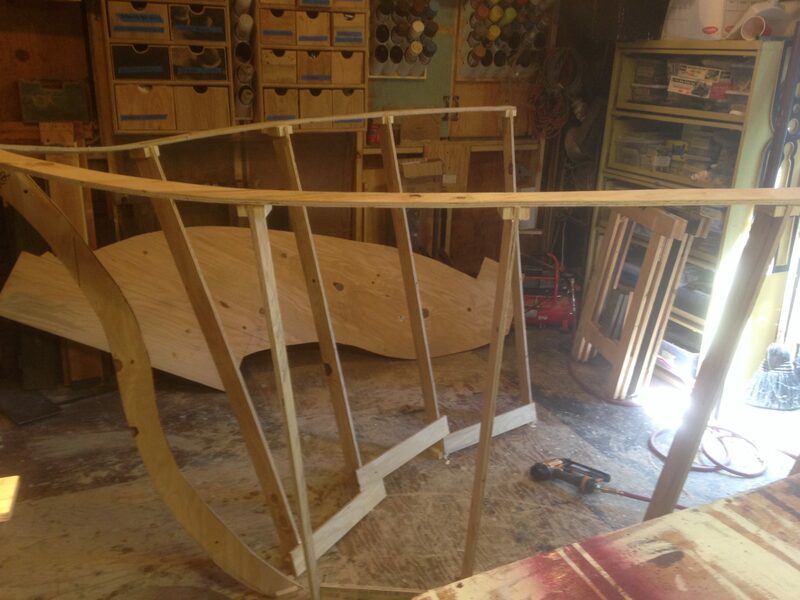 Our float frame builder, Mark Hoagland, is a set builder so I met him in my previous jobs. 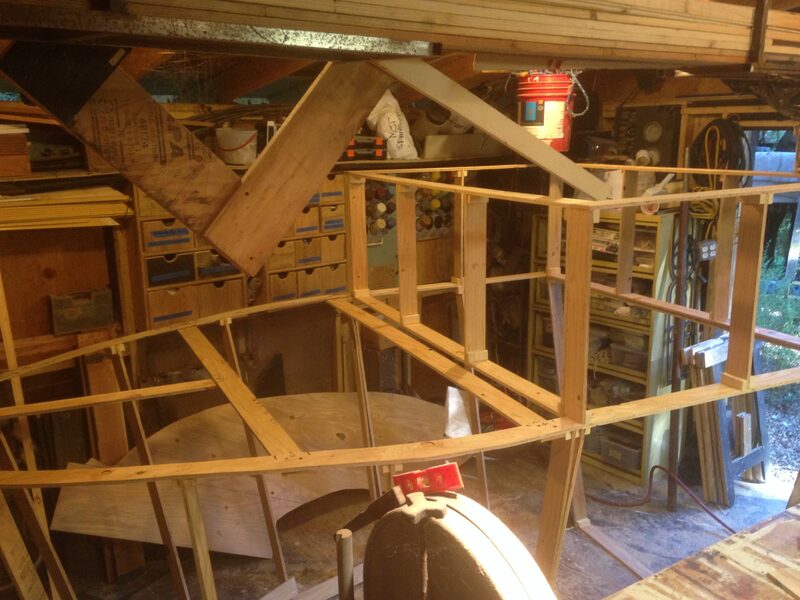 How has the local community inspired your float building experience? Mark Hoagland’s wooden frames for “Shipping Out to Sea”. I grew up in Capitola most of my life and the city is finally making the begonia the official flower. It is great to feel a part of history and this beloved festival. 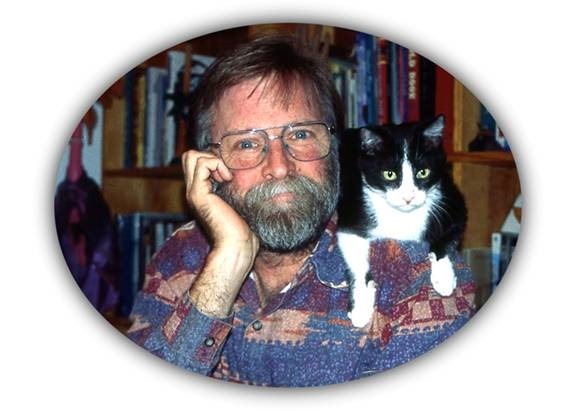 John Johnson (who also lived in Capitola and was my neighbor) has also been a great source of inspiration. His wife, Kathy, has given us access to his work which has been extremely helpful to us in honoring the past groups. Jennifer and I have very fond memories of John and Kathy growing up, so reconnecting with Kathy and memories of John has been very special to us. What has the Capitola Begonia Festival and creating floats meant to you as a local? As I mentioned above, I grew up in Capitola and spent most of my life there. I have very fond memories of the Begonia Festival and the Art and Wine Festival from my childhood. I have always said I wanted to organize a float as an adult, so I am thrilled we are getting this one final chance to do so. It is sad that the Festival is ending, it is a huge part of Captiola’s history and has been a great source of pride for the city and clearly something the residents look forward to every year. It feels great that we can be a small part of this history. To watch this team and float in action Labor Day Weekend, head to Capitola to view float construction Saturday September 2, all day until 10pm, and Sunday morning. Then cheer on the floats as they travel Soquel Creek in the Begonia Festival’s 65th and final Nautical Parade, Sunday September 3, 1pm to finish. Visit begoniafestival.com for a full schedule of Labor Day weekend events. Join Castagnola Deli and Cafe during the Begonia festival to help celebrate their 1st anniversary!